A temporary email address is an email address that expires automatically after a predefined period of time. You can create a temporary email account to protect your identity from websites, peoples and companies that you don’t necessarily trust and suspect of wanting to send you spam emails. It is easy to create a short-lived email address with temporary email generator. There are many online services that allow you to create unlimited temporary account. Let’s know some of the best of them. If you don’t want to share your personal email address with anyone over the Internet, then it is a great service to create temporary email accounts instantly. 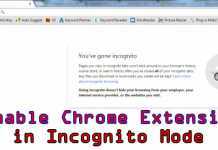 Go to www.hidemyass.com/anonymous-email from your browser and fill out the given form to create your anonymous email account. This service comes with the extension @hmamail.com. You can choose any username and password for your account. 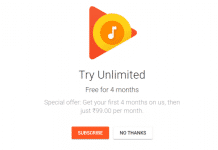 If you want, then you can also give your original email address where you’ll receive notification whenever you get a new email in the temporary account. Finally choose the expiry time period from 24 hours to 12 months and fill up the captcha and create your account. Anytime you can login into your account with your username and password by going to the above page. 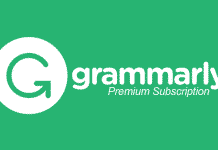 GuerrillaMail is a free to use online service that allows you to send anonymous emails. Without registering your private information, you can quickly allocate any current email address with in order to devote a short-term email address to receive the unavoidable solicited e-mails. You can instantly change your username to any name and assign many domain extensions from the list. This is a great temporary email generator for those sites you want to sign-up an account for but would rather not expose your personal email account to spam. Fakeinbox comes with a simple user interface and provides faster service to its users. Here you can create random email accounts, or you can create with your desired name with @fakeinbox.com extension. Every temporary email account comes with 60 minutes of the time period. Within this time period, you can delete your account or make extra 60 minutes for your email. Mailinator is an easy to use anonymous service that doesn’t require any process for Registration. It is just only your temporary inbox. Just put the email user name which you want to check email, and it’ll show you your inbox messages. It stores your IP address; that’s why it not requires any signup. NoSpamme.rs is a newly launched website to stop spamming. As like other services, it doesn’t require any registration and it has a user friendly interface. After pressing get address! 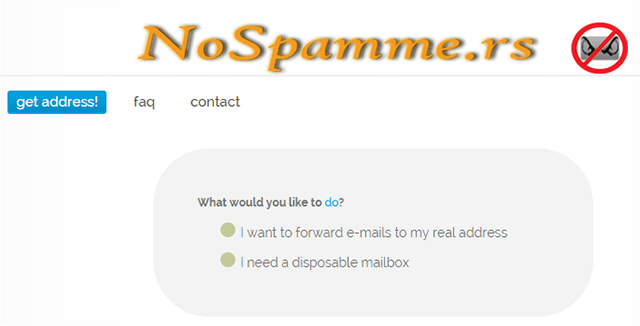 button you’ll get two options; either you can send a disposal email to your clients or can make your own disposal mailbox instantly for a short time period with @nospamme.rs extension. Using these online services you can easily create your temporary email account to protect your personal email address. Use them and share it with your friends.